Like all Haws cans these have been very thoughtfully designed. Their slim shape makes them easier to carry and use, as well as being easy to fill. And an all brass rose and powder coated paint over hot dip galvanising ensures they’ll give you many years of faithful service. Capacity 5 litres (1 gallon). Dramatic-looking plants with black leaves and purple flowers, each plant producing, on average, at least 20 black, fang-shaped fruits which ripen to blood red. Fruit have a Scoville heat rating of 14,000 – spicy! It is early to fruit and is ideal for greenhouse cultivation, but also makes a great talking point when grown in tubs on a sunny patio. 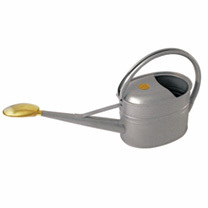 Height 60-75cm (2-2′).You don’t have to have a large vegetable garden to grow your own. Even the smallest patio or balcony can accommodate a few containers that will give you a bumper crop of delicious fresh produce! Snap up this fantastic lucky dip collection of 3 popular top quality roses, all UK grown and you will receive at least 2 different colours! Supplied as bare root plants. Roses are colour labelled only. 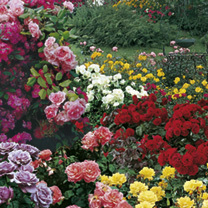 3 bare root roses – worth 26.97 – for just 5.00, SAVING 21.97! 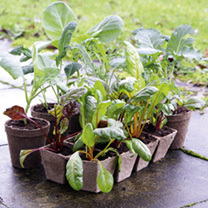 A selection of square and round biodegradable peat pots. Pack of 212 pots.